The new issue of Empire goes all-in on the movie event of the decade, and this month’s very special exclusive subscriber cover is a work of art. 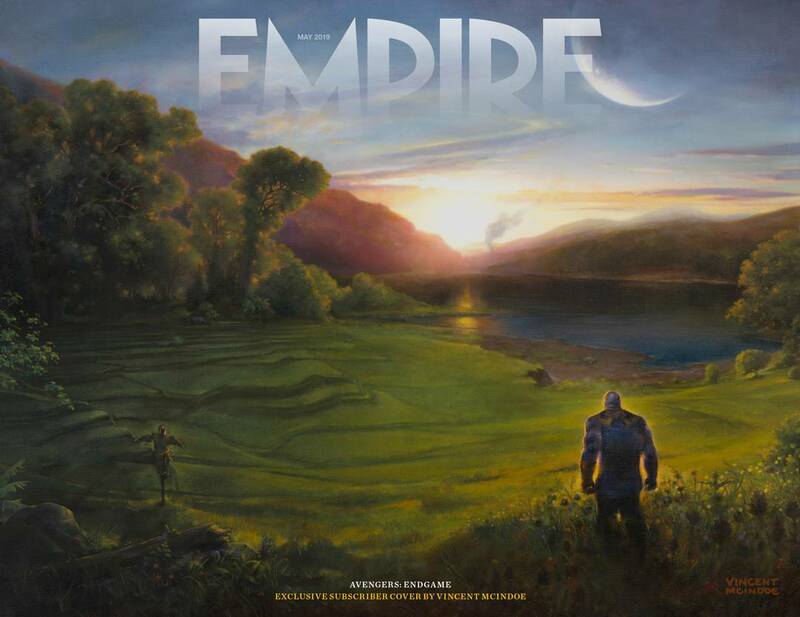 Empire magazine have teamed up with artist Vincent McIndoe to produce a painting of Thanos’ ultimate victory, who has delivered a stunning landscape of the Mad Titan watching the sun rise on a (not so) grateful universe! Inside the issue, on sale today, you’ll find a major new feature on Marvel’s biggest movie so far, talking to the film’s stars, directors, and MCU head honcho Kevin Feige himself about how they crafted the boldest blockbuster ending of the decade, and how they’re going to out-do it all in Endgame. Oh, and if that wasn’t enough, the issue also comes with Empire Presents: Avengers – The End Of An Era – a bonus magazine in which we salute the six central members of the MCU, the screen superheroes who changed cinema forever. Enjoy the Avengers: Endgame issue, and we’ll see you at the front of the queue on opening night. Never miss an issue of Empire, subscribe today and save up to 21% plus receive a free gift – Metal Earth tool kit and R2D2 & Millennium Falcom Models!